The Hotel Bolivar is a prestigious 4-star hotel, situated in the historic centre of Rome, at a few steps from Piazza Venezia, Fontana di Trevi, Piazza di Spagna, Colosseo, Foro Romano and Via Veneto. This elegant 4-star hotel enjoys a strategic and unique situation, near the main monuments and train stations of the capital, Termini, Tiburtina, Tuscolana and Ostiense train station, from where is very easily to reach the Fiumicino Airport. From every point of the Grande Raccordo Anulare, reachable from all the motorway, you can follow the indication for Rome centre and Termini train station, take Via Nazionale until you reach Via Quattro Novembre, turn right and then left in Via della Cordonata, where lies the hotel. 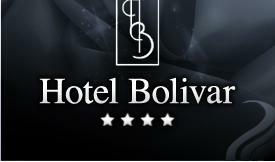 Important: the Hotel Bolivar offers on booking the free access service to the ZTL area of the historic centre. The Termini train station is far 1 km from the hotel. You can take the bus number 64 or 40. Get off at the stop NAZIONALE/QUIRINALE. The Fiumicino airport of Rome is connected with the city by motorway or a local train service, the Leonardo Express, with departure for the Termini station every 30 minutes. The Ciampino Airport of Rome lies at a few stops by bus from Anagnina, last stop of the underground line A. Transfer service from the airport. Moreover, it is available a shuttle service for the return. You have to ask it to the reception in the check-in day.